Today in Courtroom 2 is In the matter of LC (Children) (Nos. 1 and 2), to be heard by L Hale, L Wilson, L Sumption, L Toulson and L Hodge. The case concerns four siblings with a Spanish mother and an English father. After the breakdown of the parents’ relationship, the children’s mother took them to Spain without the father’s consent. They visited the UK for a holiday and were not returned to Spain, and their mother applied for their return pursuant to the Hague Convention 1980. 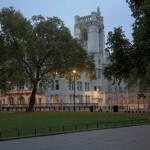 The Court of Appeal held that the eldest child should stay in England, and remitted back to the High Court the question whether it would be intolerable under art 13b of the Convention to separate the children. The Supreme Court will determine whether, and if so to what extent, children’s views are relevant in the evaluation of their habitual residence; and when a court should join a subject child as a party to Hague Convention proceedings. On Tuesday 12 November 2013 in Courtroom 2 is the appeal of Richardson & Anor v DPP. The appellants protest against a shop which sells products from the Dead Sea, labelled as ‘made in Israel’. The appellants assert that the area the company is operating out of is not part of Israel, but an Israeli settlement in the occupied Palestinian Territory, and argue the labelling of the products as “made in Israel” breaches consumer protection legislation, and also accuse the company of offences of cheating the revenue, possessing and using criminal property, as well as aiding and abetting war crimes. The issue for the Court is whether the words ‘lawful activity’ in the Criminal Justice and Public Order Act 1994, s 68, should be limited to acts which are ‘integral’ to the activities at the premises in question. From Tuesday 12 until Thursday 14 in Courtroom 1 is the matter of Coventry & Ors v Lawrence & Anor. The respondents are the owners and operators of a track and stadium used for various motor sports, including stock car, motocross, and banger racing. 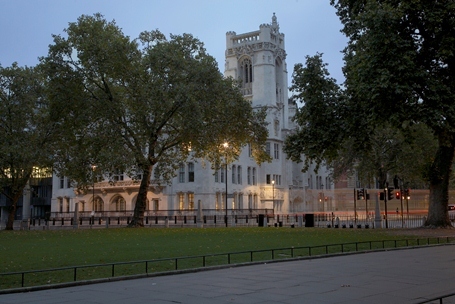 The Court will determine whether, and to what extent, the decisions of a planning authority are relevant to the assessment of nuisance; whether ‘coming to a nuisance’ is capable of being a defence; if a right to transmit noise over another’s land is capable of being an easement; and whether a success fee payable pursuant to a Conditional Fee Agreement and an After the Event Insurance premium are recoverable. In the Privy Council on Wednesday 13 – Thursday 14 November 2013 is the matter of Daniel v The State, from the Court of Appeal of the Republic of Trinidad & Tobago. This is a death penalty appeal concerning the circumstances in which the defence of provocation should be left to the jury when the provocation was self-induced. Zoumbas v Secretary of State for the Home Department, heard 28 October 2013. Leave a reply on "In the Supreme Court w/c 11 November"